Get the latest Australian CPC RTO materials from one of Australia’s leading training resource developers! Get new learning resources and assessment tools to deliver the latest CPC Qualification as soon as possible! Get a complete CPC60212 Advanced Diploma of Building and Construction (Management) (Release 2) training resources kit so your RTO can deliver and assess this popular and valuable vocational qualification! This package will provide your registered training organisation with CPC60212 training materials designed to help your students develop desirable skills and knowledge to increase their employability and pursue new career opportunities in the Building, Construction and Plumbing industry. Fortunately, this CPC08 qualification package is already completed and ready to go “off the shelf”, so your training organisation can complete your addition to scope application and get your CPC60212 course up and running ASAP. 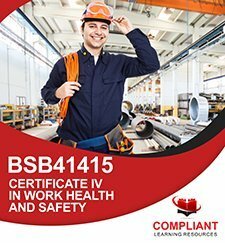 This qualification package from the CPC08 – Construction, Plumbing and Services Training Package is provided in editable Word document format so RTOs are able to modify the resources in order to comply with internal or external validation outcomes, internal or external audit recommendations, an update of training package/units, or third-party licence obligations. Your RTO will also receive an unlimited student license, meaning you can deliver and assess training within your RTO to as many students as you want using this learning and assessment resource package. Your training resources will be branded with your logo prior to delivery. This VET training resources package includes RTO training materials for a full qualification package, CPC60212 Advanced Diploma of Building and Construction (Management). There are a range of electives to choose from to design your package, and you can add additional electives if you want to deliver different versions of the course customised to specific industry needs and learner cohorts. For more information about the CPC60212 Advanced Diploma of Building and Construction (Management) qualification, including packaging rules, release information, licensing, elements and performance criteria, performance evidence, knowledge evidence, and assessment conditions, check the official training.gov.au page here – CPC60212 Advanced Diploma of Building and Construction (Management). This is a self-contained VET training resource, meaning it comes with all student assessments, assessment benchmarks, assessment mapping, competency records AND learner guides with unit learning content for your students. No additional textbooks or ongoing per-student fees required! Our unlimited student license model means you purchase the CPC60212 training resource once and deliver and assess training for as many students as you want with no additional fees! Many RTOs find this is the most economical model for procuring training materials as your resource costs are fixed no matter how many students you train. In most cases, your RTO will break even after just a class or two of students when you compare the unlimited digital model to print training materials or per student e-learning subscription models. The license terms allow your RTO to modify these training resources in order to comply with internal or external validation outcomes, internal or external audit recommendations, an update of training package/units, third-party licence obligations. You may also print your own copies of the CPC60212 materials for the purpose of training and assessing your students and/or clients. Your new VET learning and assessment materials will be delivered in editable Word format and will be branded with your logo before delivery. Enquire now and get this premium complete CPC60212 Advanced Diploma of Building and Construction (Management) learning and assessment resources bundle for your RTO today! Simply fill out the form or call us on 1300 885 484 for more information. This CPC60212 Advanced Diploma of Building and Construction (Management) complete qualification package includes 10 units total. The package includes all core units listed plus a selection of elective units. Choose from the list of electives below to design your own package; or if you’re looking for extra electives or units not listed below, we have a huge range of units available that may be suitable to fulfil the qualification packaging rules. Contact us with your desired unit selection for a customised quote. RTO training resources developed by LRES Training Management Pty Ltd are provided with a “One-Off” License Fee with Unlimited Students – meaning you pay one upfront fee and there are no ongoing per-student or annual license fees! These training materials will be licensed to your RTO for use in delivery and assessment of training for your students only. 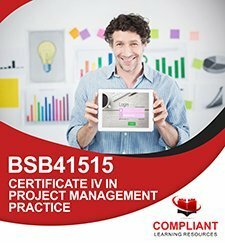 Compliant Learning Resources will set up and send you a copy of the LRES Training Management Pty Ltd license agreement to sign before delivery of your training materials. This training resource has been written to meet the training package requirements for the CPC60212 qualification, part of the CPC08 – Construction, Plumbing and Services Training Package. This qualification package is provided “as is” without guarantee, warranty or condition of any kind. This is CPC60212 Advanced Diploma of Building and Construction (Management) learning resources package from the CPC08 training package is written and maintained by LRES Training Management Pty Ltd. Licensing for this qualification will be provided by LRES Training Management Pty Ltd. Compliant Learning Resources is proud to partner with LRES to market and distribute their RTO training resources to TAFEs and RTOs across Australia and overseas.